Image courtesy of Rudmer Zwerver | Shutterstock. Nearly 20 countries and regions pledged Thursday to never use coal again as fuel for power generation from 2030 onwards, adhering to a British-Canadian initiative presented at the 2017 United Nations climate change talks in Bonn, Germany. Two nations, however, did not sign the accord — the United States and the host country. US President Donald Trump has made no secret of his intention, at least in paper, of “bringing back coal.” So far, he has by rolled back environmental regulations and moved to repeal Obama-era curbs on carbon emissions from power plants among other measures. However, dozens of coal-fired plants have closed in recent years, and cheap natural gas continues to dent domestic demand. According to the Appalachian Regional Commission, the region has lost about 33,500 mining jobs since 2011. And that’s only in one section of the US. Overall, coal’s share of the power mix is declining, and wind and solar remain the fastest-growing US sources of electricity. 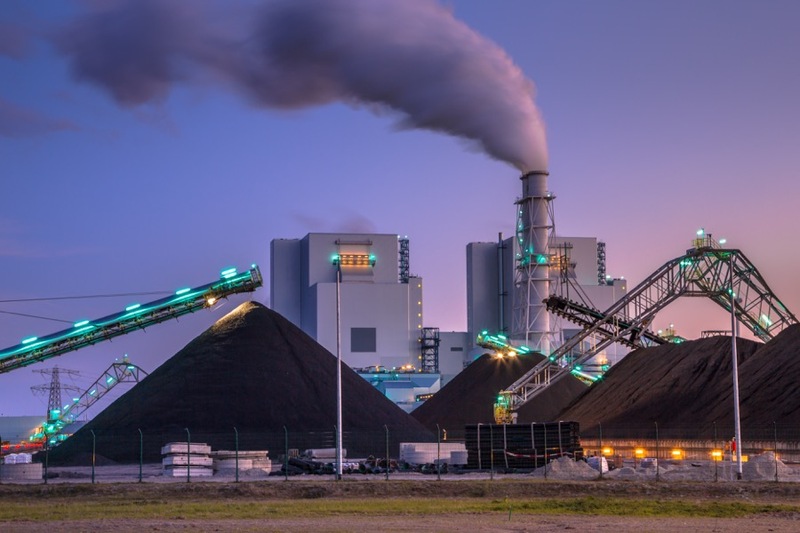 One problem is that most of the installed coal-fired generation capacity in the US is quite old, and with gas prices being low, companies don’t seem willing to invest in repairing those outdated facilities. Another issue is that not one single new commercial plant of this kind is planned in the whole country for the near future, compared to 2.6GW of new solar capacity, 10GW of new wind and 38GW of new gas-fired plants scheduled to start up in 2017-18. Even AEP, the US top generator from coal in 2015, has been embracing renewables. In July, in fact, it announced it would invest $4.5 billion to build the largest wind farm in the US. US coal production began rising in mid-2016, boosted by higher global prices that were mainly due to production cutbacks in China. Cyclone Debbie buffeted Australia’s coast earlier this year, sending prices rallying again. And in the US., coal became more competitive in the utility mix after natural gas — a rival power-plant fuel — rebounded from last year’s historically low prices (…) Coal production has since fallen below 2016 levels. 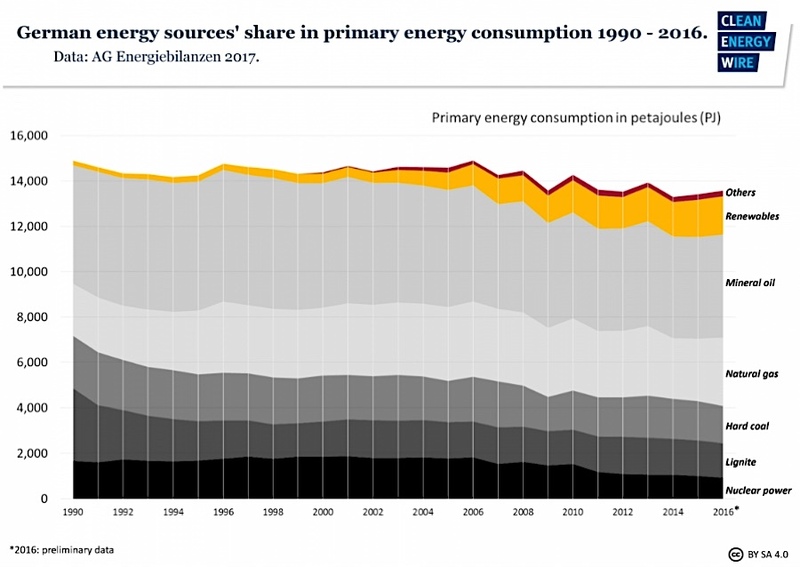 Germany, in turn, which for years has been seen as a world leader in the fight against carbon emissions and pollution, still gets 40% of its energy from coal, a larger share than most other European countries, data from Eurostat show. The reality is so despite the Angela Merkel’s administration has invested billions in renewable energy and it means that Germany will miss its goal of cutting 40% of its greenhouse gas emissions by 2020. Currently, official figures show that number is likely to fall to little more than 30%. Source: Clean Energy Wire AG Energiebilanzen 2017. 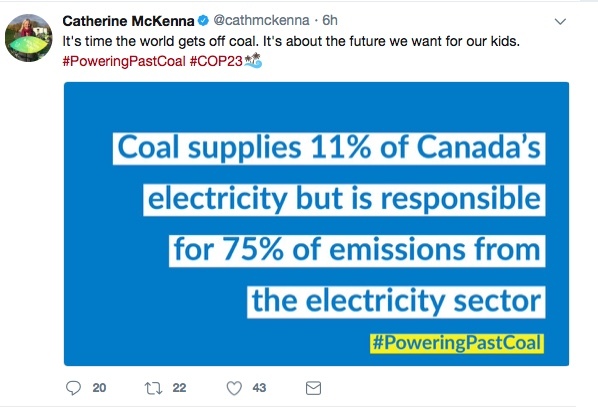 Some of the countries that have joined the so-called Powering Past Coal Alliance to phase out coal from power generation before 2030 include Britain, Canada, Denmark, Finland, Italy, France, the Netherlands, Portugal, Belgium, Switzerland, New Zealand, Ethiopia, Mexico, Chile and the Marshall Islands. The coalition expects to include at least 50 countries by next year.